We are one of 120 chapters of National Assistance League, which was founded in 1935, to promote the growth of effective volunteerism. 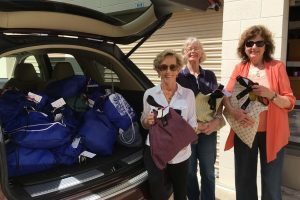 Annually, our dedicated chapter members volunteer over 26,000 hours and return over $130,000 to our local communities through our philanthropic programs. 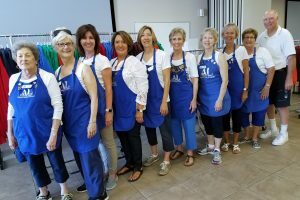 Assistance League Rancho San Dieguito is celebrating its 21st Anniversary as a chapter of National Assistance League. We invite you to join us in the celebration by helping us in our service to our communities. Membership is open to those who wish to be of service to our community and have the time, creativity and passion to volunteer. The joy of giving is expressed through extraordinary programs chosen to meet the specific needs of our community. A visit to our Thrift Shop gives the best opportunity for a conversation with any of our members. Seeing and hearing the joy of membership face to face is the best way for potential members to meet us and to learn about our chapter. 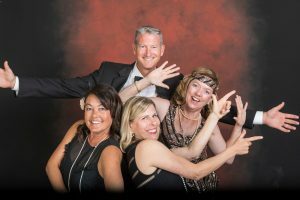 Everyone is welcome to attend our monthly meetings where camaraderie is evident through the news sharing, recognition of members’ good works and, if we’re fortunate, playful presentations to promote an upcoming event. 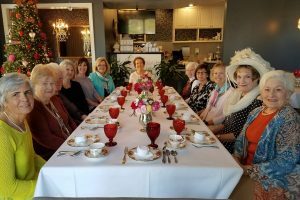 Our monthly chapter meetings are usually held the third Wednesday of the month, September through June, at Calvary Lutheran Church, 424 Via de la Valle, Solana Beach. Our social gathering begins at 9:30 am and the meeting begins at 10 am. There are multiple personal and professional benefits of volunteering. 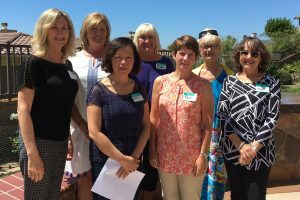 At Assistance League Rancho San Dieguito, members manage committees and sit on our Board of Directors. These functions present excellent opportunities to share your skills or to learn new skills. Learning new skills broadens your horizons and keeps your brain and body active which leads to growth in personal confidence and an improved outlook on life. Volunteering connects you to communities – the communities you serve as well as the community you join as a volunteer. You meet different kinds of people, make new friends, and have fun all while making a positive difference in people’s lives. The positive difference affects everyone – including yourself. Having fun together at Grand April Affair! Ready to help children choose new school clothes! 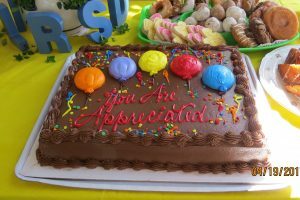 We take time to appreciate each other.